Make sure that your celebration is perfect down to the smallest detail. We can help you find practical, affordable products that can make your reception or celebration one to remember! Explore our beautiful reception accessories and give your guests the best time imaginable. Satisfaction guaranteed. 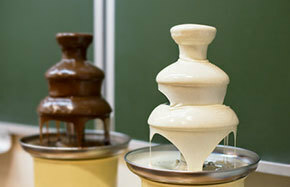 If you really want to increase the “wow” factor, then you simply must see our line of elegant chocolate and champagne fountains. We carry a handful of handsome chocolate models that include multiple tears that allows the delightfully melted confection to trickle down, forming a fascinating profile while providing guests with an irresistible treat. Our models include 21”, 23”, 26.5” and 30” sizes. We also offer two gorgeous champagne fountains. One is made of crystal clear plastic so it is lightweight but still looks sophisticated. 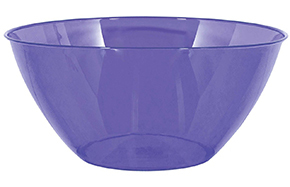 The gently scalloped base is illuminated in different colors that automatically change to create a subtle light show. Our one gallon heated champagne fountain serves up hot drinks but can be used for cooler beverages as well. This product includes a solid metallic exterior and simple streams that quickly fill cups with whatever libation you prefer. 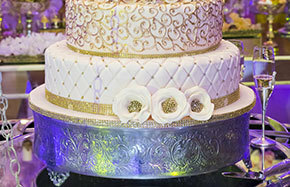 The cake is a focal point at any reception. This will be one of the first places your guests and photographer stop to snap pictures before exploring the rest of the venue. Make sure you give them a display worth capturing on film! Our wedding cake stands will really make your cake stand out. We offer brass plated and silver tone round stands as well as exquisite square models. If you need extra height, we also sell both round and square models in stacking plateaus. These come in different sizes so you can create a pyramid of baked temptation that will entice all who happen by! 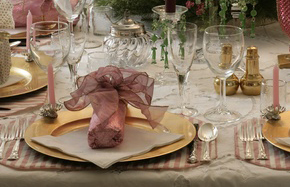 The table décor is another vital area at every reception. This is the spot where your guests will sit back, relax and enjoy the celebration. Set the right mood by creating the perfect atmosphere at every table. Our metallic gold and silver chargers will highlight food at guest tables or can be placed under serving trays and plates on food tables. These include round and square shapes so you can find something that fits your event perfectly! 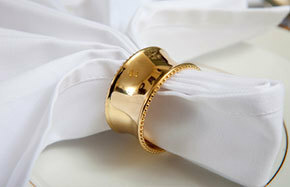 Our napkin rings will spice up the look of your cloth napkins with glinting metal and shimmering crystal. We carry round and square models with varying patterns that will blend with your nearby décor. 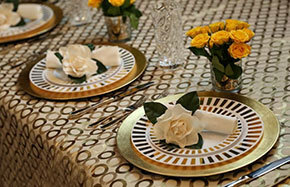 Make sure you also have enough place card holders to go around so guests can easily find their assigned seat. We have everything from simple frames to miniature topiary trees and tiny street lights that can double as a special favor for your guests! What Size Cake Stand Do I Need?